Rodney Stark is professor of Social Sciences at Baylor University, and is a prolific author and renowned scholar in the field of sociology of religion. This new book is a massive tome (414 pages plus notes, bibliography and index) in which the author attempts to provide a religious history of mankind, from the Stone Age to the present. It is a history of the origins of religions covering prehistoric primal beliefs, the major Asian religions including Hinduism, Buddhism, Jainism, Taoism and Confucianism, and the religions of Sumer, Egypt, Greece, early Rome and Mesoamerica, as well as, of course, Christianity and Islam. “ … contempt is not a scholarly virtue, and most of these scholars openly presumed that Gods exist only in the human imagination, that religion arises mainly from fear, and that faith is sustained only by ignorance and credulity” (p. 1). The title of Richard Dawkins’ recent book The God Delusion is an example of this mindset. Stark points out that most modern investigators never consider the possibility that the common source is the spiritual dimension. The author acknowledges that comparisons between religions can be confronting because they tend to highlight, given the competing truth claims, that “not all religions can be entirely true” (p. 1). Nevertheless, the question of why there is substantial similarity between religions must be asked. Stark points out that most modern investigators never consider the possibility that the common source is the spiritual dimension. Nor do they consider the obvious possibility that similarities testify that authentic revelations underlie many of the major faiths—or, even more likely—that many revelations came from fallen angels (satanic beings) in order to seduce mankind away from the One True God, Yahweh. Yet, dominant scholarly perspective is that “revelations” are mere psychological events. Calvin was arguing that even though God could easily have created in an instant, He chose instead to actually create in six days, as an accommodation to human capacity since it is difficult for us to comprehend how the complex functioning universe could have been created in an instant. In other words, God’s acts were an accommodation, not His revelation in scripture. Stark attempts to apply the concept of natural selection to acceptance and/or rejection of the different variations in the cultural “species” of religion, and argues that: “Humans will tend to adopt and retain those elements of culture that appear to produce ‘better’ results, while those that appear to be less rewarding will tend to be discarded” (p. 9). But this argument is problematic. Religions such as Hinduism do not allow people to make such utilitarian assessments. Hinduism understands poverty and suffering not as a failure of cultural/religious values and practices, but as a direct result of failing to live by those values and practices! A person born into poverty will remain in that state for life. No Hindu will seek to help them or improve their state because this would go against one of their fundamental beliefs: the doctrine of karma. Figure 1. 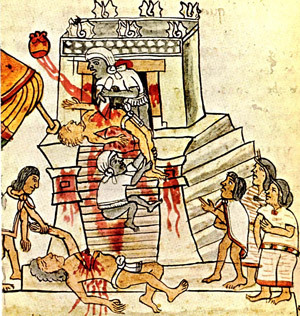 The Aztecs and other societies that adopted temple religions routinely practiced human sacrifice in order to appease their god. Stark goes on to say: “Humans will tend to adopt and retain images of God(s) that appear to provide greater satisfactions, both subjective and material” and that “humans will prefer God to unconscious divine essences” (p. 10). In addition, humans prefer an image of God that is “rational and loving” (p. 11). Again, these assertions are difficult to maintain. Many religions—including Islam—see God not as a being that provides special benefits in this life, but as a terrifying ogre that will smite the people if they do not appease him. Such gods are anything but loving and rational. Nor do people necessarily prefer personal Gods to impersonal “essences”. The notion of a personal god often implies personal accountability, and many people do not want to be accountable to anyone. Most people in the prosperous west are more comfortable with an impersonal distant god that has no bearing on the way they live their lives. In chapter one, the author examines what primitive people believed and why they believed it. Stark points out that one cannot seriously argue that primitive religions are crude mixtures of magic and superstition sustained by humans with limited mental capacity since recent studies have shown that many primitive cultures had quite sophisticated societies, complex notions of “high gods” and relatively detailed accounts of creation. The biblical record is relatively silent about much of this period, although it does provide some hints. After Babel, the earth’s population became divided by language, and the different language groups became scattered all over the earth and ultimately formed their own culture (Gen. 11:8–9). As noted above, views about God and religious practice are a central part of culture. It is clear from the Babel account that even before the dispersion, humans had already begun to forget or suppress the truth about God. It is at this point in the Genesis account, after Babel, that we meet Abram. There is no indication in the account why God chose to call him to the land Canaan. Presumably Abram was a man who retained some knowledge of the one true God, so God chose him and his family to be His special people. Figure 2. 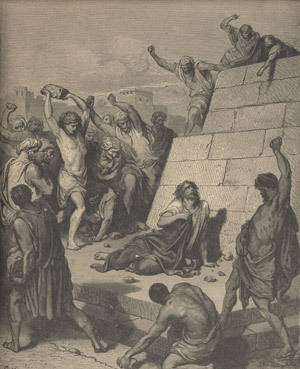 The stoning of Steven. The open Roman religious marketplace resulted in a high level of religious adherence in Roman society, as well as in occasional persecution of religions such as Christianity that claimed exclusivity or had highly committed followers. Chapter two discusses the ascendancy of state-supported temple religions that featured priestly polytheism. It outlines why these civilisations rejected the “high gods” of the primitive societies in favour of idols that depicted god as basically an immortal human being with some extraordinary powers. Stark notes the importance of priests and rituals and sacrifices to such early temple religions (e.g. the religions of ancient Greece and Rome and the religions of the Aztecs (figure 1)). He also acknowledges the role of morality, the afterlife, and tombs mentioning the great building projects used to house rulers, as well as the role of sacrifice (including human sacrifice). In this era, polytheism was highly attractive and it was difficult for followers of monotheistic religions to remain faithful. Stark maintains that many of the primitive early monotheisms became corrupted. Indeed, we see ample evidence of all this in the history of Israel and Judah, beginning with King Solomon, as documented in Kings and Chronicles. “Of course, there is no scientific basis for the claim that the entire earth ever was covered by a flood, but there is evidence of an immense flood in the Near East at what would seem to be an appropriate time” (p. 88). No evidence? Apparently, the billions of dead things rapidly buried by sedimentary deposits all over the earth do not count! Nevertheless, Stark does acknowledge that the existence of a huge local flood would not explain the existence of flood “myths” all over the globe. 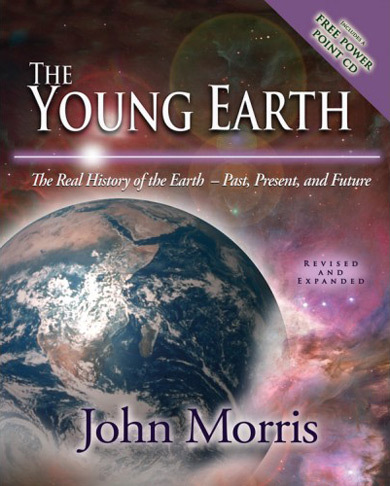 Thus, he argues that “it is theologically credible to trace the many instances of the myth to a common source, even if no actual catastrophe was involved” (p. 88), and concludes that the flood account functions in the same way as Christ’s parables: mere vehicles for the delivery of moral teaching. Stark analyses the relatively open Roman religious marketplace in chapter three, and how this permitted a constant influx of new religions from other societies, pointing out that this resulted in an unusually high level of religious adherence in Roman society, as well as noting that this also resulted in occasional religious conflict and persecution (figure 2), especially among those religions that claimed exclusivity or had highly committed followers (e.g. Christianity). Chapter four examines the rebirth of monotheism in Egypt under Akhenaten, and the religious development of the Israelites, including how Israel returned to monotheism after the Jewish Diaspora returned from Babylon (as documented in Ezra and Nehemiah). Unfortunately, Stark does not put much faith in the historical veracity of the biblical accounts. He follows the modern archaeological position that Jericho was already a city in ruins when Joshua and the Israelites arrived and the land of Canaan was not conquered but “repopulated” peacefully. In Chapter five, Stark looks at the rise of religions in India, particularly Hinduism and Buddhism. He focuses on early Indian religions as well as the complications of Hinduism including the Vedas and the caste system. Offshoots of Hinduism such as Buddhism (figure 3) and Jainism (noting the decline of Buddhism in India and its rise elsewhere) are also discussed. Chapter six is devoted to the rise of Taoism and Confucianism, and the arrival of Buddhism in China, and points out their apparent “godlessness”. Figure 3. 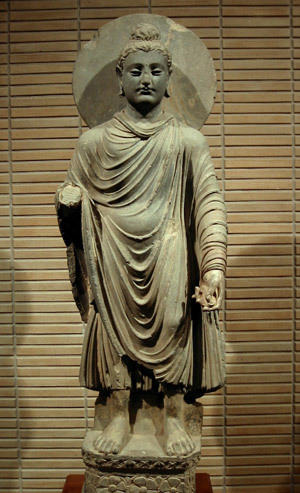 Gandhara Buddha 1st–2nd century AD. Buddhists seek Nirvana—the state of enlightenment—through suffering and self-denial. In Chapter seven, Stark analyses the rise of Christianity and notes that “Christ offered a comforting, accessible, human Son, who mitigated the difficulties in relating to an inherently far less comprehensible and very distant Father—a dualism yielding both a transcendent and an incarnate divinity” (p. 18). He looks at the origins and authenticity of the New Testament, how the canon was chosen and why certain early writings were excluded (because they were a last-gasp effort to incorporate Christianity within traditional polytheism). “And, underneath all of the academic skepticism about the credibility of the gospel accounts of the life of Jesus lies the issue of miracles. It is these that are said to ‘prove’ that the gospels are but a compendium of mythology … . 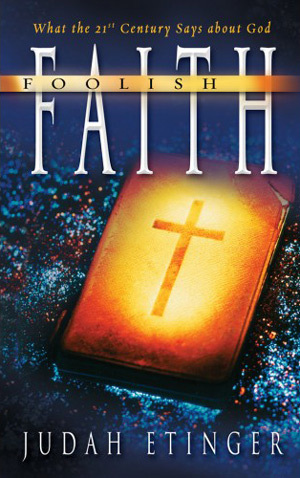 Thus, from the very start, most searchers for the historical Jesus have assumed that no intelligent modern person could credit tales involving healing, exorcism, or changing water into wine, let alone such an absolute impossibility as the claim that Jesus rose from the dead!” (p. 284). “What purpose was served by the Crucifixion? Surely a God of miracles could simply have offered universal clemency to those who believed and thereby have dispensed with any need for a ‘blood sacrifice.’ Although such a sacrifice may have seemed plausible to pagans, it rings quite false in our more enlightened times. But that’s the whole point … God’s revelations are always geared to the current capacity of humans to comprehend … [Christ’s sacrificial death] spoke powerfully and eloquently to a culture that took sacrifice, especially blood sacrifice, as fundamental to pleasing the Gods” (p. 289). Not only are such remarks indicative of chronological snobbery, they are theological nonsense. From the very beginning, the punishment for sin has been death (Gen. 2:17). Christ’s sacrificial death is also the subject of many prophecies (e.g. Gen. 22:1–14; Isa. 53) and the only way to gain forgiveness for sins is through the shedding of blood (Heb. 9:22). This is why Christ had to die on a cross as a blood sacrifice for our sins. This chapter also attempts to understand the growth of Christianity in the first few centuries, including why some Roman emperors feared Christianity, and why Constantine recognised that Christians could be powerful political allies. He points out that Christ as the historical Jesus of Nazareth, provides a divinity that is much more human, comforting, comprehensible and intimate than the seemingly invisible and indescribable God of Islam, and to a lesser extent, Judaism. Christ is personal, understanding, forgiving, and acts as our intercessor. Stark then goes on to describe the long decline of European Christianity, which stands in stark comparison to its extraordinary growth in Latin America, Africa and Asia. 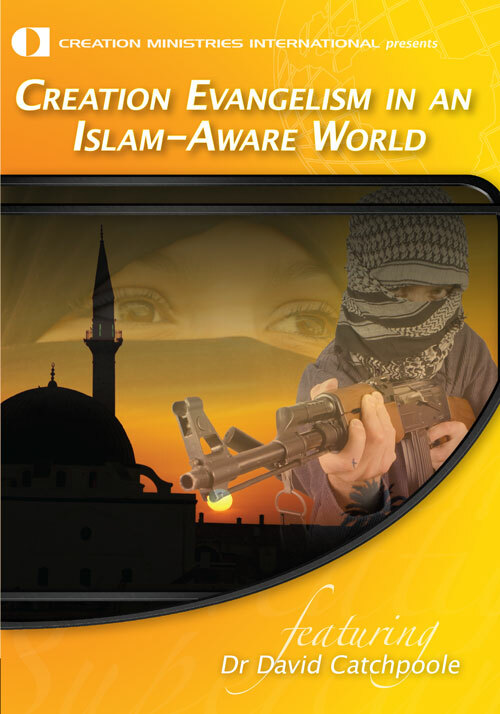 Chapter eight examines the explosion of Islam and the resurgence of the theocratic state. It provides a historical account of Muhammad, his initial visions, and his flight to Medina, as well as discussing his role as a military leader and founder of an Arab state. Stark then looks at the Five Pillars of Islam, the origins of the Qur’an, and the Islamic view of God (Allah). He also includes a discussion of whether Christians, Jews and Muslims all worship the same God but by a different name. They don’t, of course! Allah is not Yahweh—Allah is the exact opposite! Stark also shows that Islam spread not by mass conversion but by treaty and conquest, and that the actual conversion of the society took many centuries. Islam was not tolerant of other faiths nor did it sustain a “Golden Age” of civilisation. He also shows Islam is as fractured and diverse as both Christianity and Judaism. Stark’s approach to Islam is interesting in that he does not openly criticise it. Rather, he describes in detail the treacherous career of its founder, Muhammad. He condemns Islam for its support of theocracies, repression of innovation, and belief in an ultimately irrational and unpredictable God. 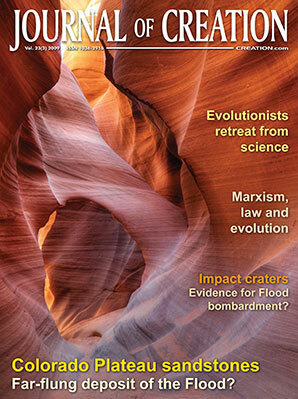 The final concluding chapter looks at the question of the existence of God: Does God exist? Have we discovered Him, or have we invented Him? 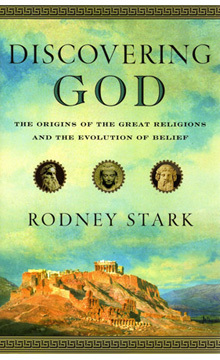 Stark notes the relationship between religion and science, and briefly examines evidence in favour of the existence of God, including evidence for intelligent design in the universe. Stark has previously written extensive analyses of the impact of Christianity from a sympathetic perspective. Thus, many non-Christian readers may object to his obvious pro-Christian bias. Nevertheless, he only concludes that Christianity has the highest understanding of God at the very end of the book, and is relatively modest about it. He does acknowledge that others can and will, differ. Not surprisingly, in light of the topics and content of his previous books, Stark concludes that Christianity offers the most “complex and nuanced” vision of God and the most “comprehensive doctrine of salvation” (p. 394). 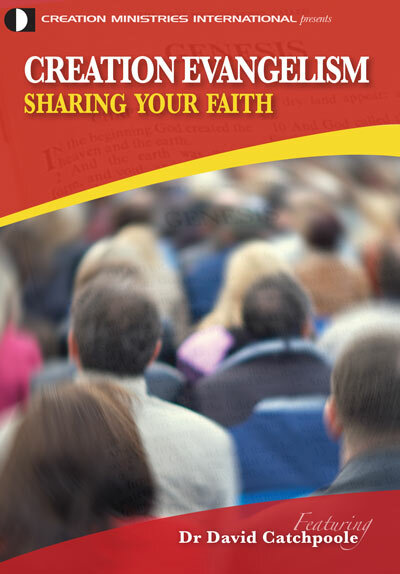 This book provides a good study in comparative religion and will help the reader to know and understand the roots and historical development of world’s major religious belief systems. As noted above, however, Stark is often guilty of chronological snobbery and commits his own sins of rationalisation. The book’s major weakness, however, is that the author tries too hard to be neutral and objective even though he is obviously pro-Christian. The book would have been so much better and helpful if it had simply advocated Christian theism as the only rational and comprehensible belief system and worldview, and that all other belief systems—religious or not—are lies and perversions that ultimately lack historical and intellectual credibility. John Calvin, Commentary on Genesis, vol. 1, <www.ccel.org/ccel/calvin/calcom01.vii.i.html>. Return to text.